Since we have years of knowledge, our organization has arisen as foremost suppliers of WB-1005 Neoprene Belt Backed by a capacious warehouse, we can easily undertake urgent and massive orders of the clients. Also, we ensure complete security of the products. 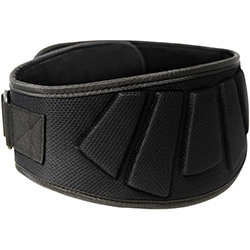 WB-1005 Neoprene Belt is highly soft and comfortable and is largely used for various training purposes.